​If you like urban fantasy about faeries, you might like Faerie Blood and the other Changeling Chronicles world stories. Click here to learn more. If you like your urban fantasy packed with demons, warlocks and supernatural action, you might like Celestial Magic. Click here to learn more. 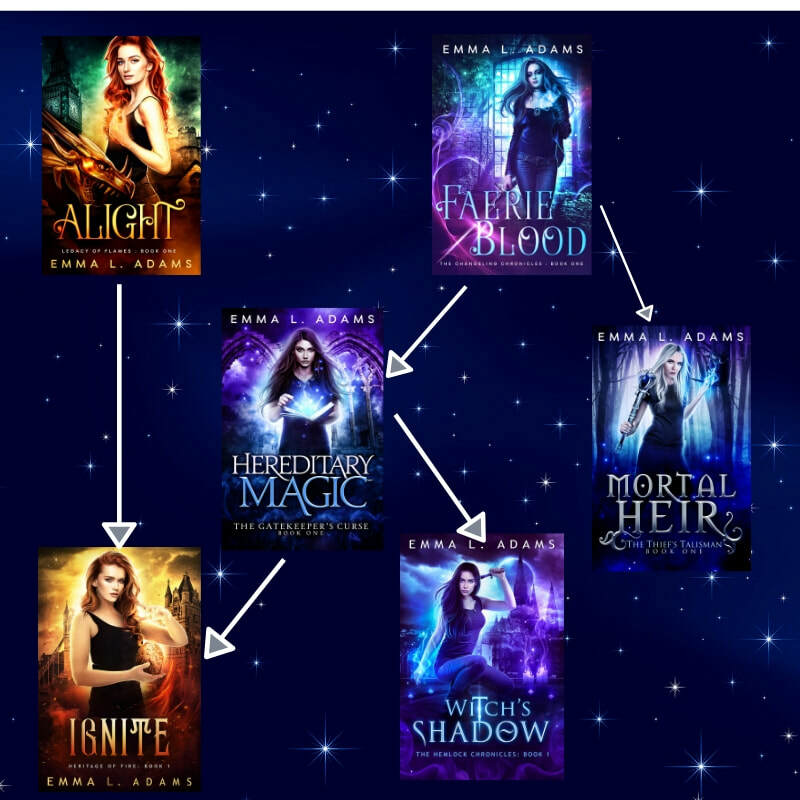 Looking for my non-urban fantasy backlist series? Click here to learn more. Want to know how all the Changeling Chronicles universe stories fit together? See the graphic below.